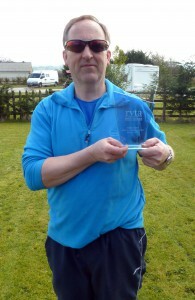 Delighted to see on your website, John displaying the RVTA Trophy and Certificate – very much deserved and please accept our Congratulations to you both. We look forward to our next visit and in May, the Auto-Sleeper Rally members we are sure, will appreciate the excellence of Dale Hey Touring Caravan Park. Keep up the good work and our best wishes for a very successful season. James and Jill Bertlin, Lindale. Dale Hay is the most welcoming site I know, John and Catherine have developed the site so beautifully it is amazing to see the transformation that has been made over the last few years. The location is so tranquil yet not a million miles from ‘civilisation and local amenities’. We find the site excellent for children and responsible dog owners – with well developed walks and footpaths. Lovely little site 50 mins away from home, perfect for a relaxing weekend. Reasonably priced, owners are a lovely couple. The bathroom facilities are lovely, clean & warm with 2 spacious shower cubicles. Dog walking area and lovely views. 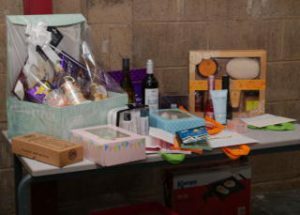 A very organised recycling point, which we love to do our bit for the environment. Overall, we thoroughly enjoyed our stay and we will be back for sure. I so enjoy visiting. The site is situated with lovely views over Pendle hill and a short walk to Ribchester village centre. 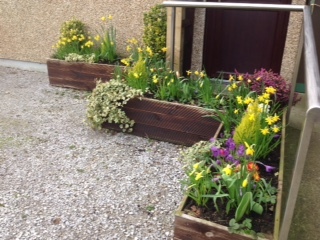 The site is clean and pretty with lots of lovely flowers displays and the toilets are clean and tidy. Prices are reasonable too. Well kept site – immaculate toilets /shower room. Lovely woodland walk where we saw a barn and tawny owl. Great grassed area for camping with trees for shade. Very handy for Ribchester – we walked on footpath through fields – would recommend Barn Tea shop and Black Bull Inn. We have just spent the most glorious 7 days at this wonderful site – a fantastic place to unwind and relax. Everywhere on this site is immaculately maintained, from the well stocked garden areas, the extensive woodland glade paths to the shower blocks and pitches. We especially love the stunning views over the local countryside and its convenience for walking into Ribchester and along the Ribble Valley. The buses even stopped right outside so we could get into Longridge for their carnival and Clitheroe. The icing on the cake is the friendliness of the owners and their well stocked reception area. We will definitely be going back! First visit to this site and had a lovely weekend, both John and Catherine the site owners are wonderful and so helpful, took us to our pitch, gave us loads of information on the site and events on in the surrounding area. The site is very well laid out and spotless, very good dog walk in the woods nearby. The site was full but no queues for the toilets at all and no rowdy noise, just people having a relaxing break. We were made to feel very welcome by everyone, people who have seasonal pitches there made us feel like we had been going there for years. Well worth a visit and we will definitely return in the near future. We visited for Bank Holiday Weekend and it was our first trial trip with our new caravan. This was a fantastic site for our first time with a very warm and friendly welcome from the owners. 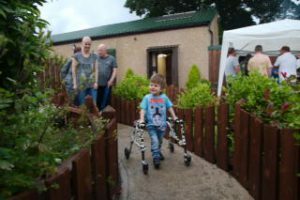 The site is beautifully kept and the wooded area was a big hit with our dog – it was lovely to have a nice area to walk round. The pitches were hard standing but with a generous grass area surrounding them. The tent fields looked lovely but didn’t have electric hook up as far as we could tell. The toilet block and dishwashing area was immaculate and the showers lovely and hot. Very peaceful and a nice walk down to Ribchester. No playground but the kids occupied themselves exploring the paths around the woods. I’m sure we’ll be back if we want another close to home weekend. Lovely site. Very well maintained and great facilities. Owners friendly and helpful and very reasonable rates. Couldn’t fault it. Lovely woodland dog walk. Quite a few caravans there, but only one tent was pitched during our stay. Returned again to this fantastic site don’t know how John and Catherine the owners do it this site just gets better and better, on our last visit we thought this site was perfect but on returning we now think it’s perfection, the surrounding area the Ribble Valley is so beautiful and as everything for everybody, cant recommend this site enough. Stayed here numerous times over the years and can’t help coming back! lovely scenery everywhere set in the Ribble valley. 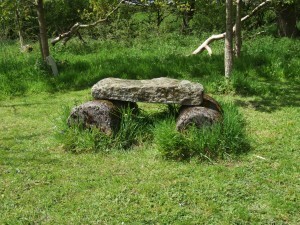 There is a bit of a walk round the site and is dog friendly. 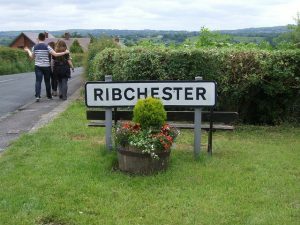 You can access Ribchester via foot should you wish or you can catch a bus to local towns. Owners are helpful and try to accommodate us the best they can should there be any issues, no doubt we ‘ll be coming back in the summer. I have visited this site for many years now, a lot of the time with my late wife who was very disabled. On all my visits John and Catherine (the owners]have made me very welcome. This was my first visit this year and I noticed the upgrades in the site. The majority of the pitches are now all hard standing with EHU. John has made sure the entire site apart from the excellent dog walk is now wheelchair friendly as well as being spotlessly clean. The toilet and shower block are spotless and fully heated all year round. This a a superb site with all local amenities within easy reach. Well lit at night for those last minute calls to the loo, the owners spare no expense or effort to make this site one of the best I’ve ever used and the warm, friendly and helpful owners make me keep going back. Highly recommend. The site is very clean and tidy. The pitches are a decent size and there is a good dog walk towards the back of the site. The owners are also very friendly and we cant wait to return again. Have been twice this year to this campsite and absolutely love it. The owners are friendly and work tirelessly to keep the site spotless. The shower and toilet block are spotless which to us is a main factor when visiting a site, as we do not have these facilities on board. We will definitely be going back next year. Stayed only one night as we were just passing through but have to say what a pleasant and peaceful site it is, situated in a beautiful part of Lancashire. Jumbo sized hardstanding pitches, excellent facilities and a very hospitable manager. Would recommend to anyone planning to visit this area. On arrival we were made extremely welcome by the owners John and Catherine and were given a lovely pitch overlooking the beautiful Forest of Bowland countryside. This site is a real gem with great, spotless and well maintained facilities, tranquil surroundings, good walks on and off site and close to the historic town of Ribchester. Also handy for visiting Clitheroe, Longridge and many villages and sites in the Bowland AONB. We definitely hope to return! Good size pitches and lovely showers/toilets. Site is immaculate and the woods are safe for the children to play. Cant fault this site its a perfect retreat for a relaxing break. Fantastic site a mile walk from Ribchester and 3 miles from Longridge. 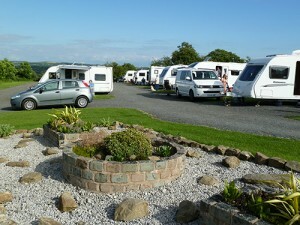 We stayed for 1 night to test a new caravan and enjoyed it so much we left the van there and returned the weekend after. The site is spotless and the hardstanding pitches have all been redone. Really nice and clean toilet and shower block with plenty of hot water. John and Catherine are really nice and on hand to supply information on the area, bus times etc. A couple of nice pubs in the village, Black Bull and Ribchester Arms, Spar shop just in the village too and a great little farm on the way into the village selling eggs. Definitely on our list of sites to return to. Thanks for a couple of great weekends. and exploring the area. Very good pubs and restaurants near by. We will be returning very soon as did not want to leave. We have just got our camper so my daughter and I wanted to try it out. Luckily for us, we managed to get the last pitch available and we couldn’t have made a better choice! 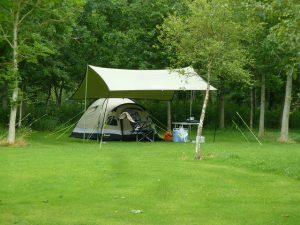 This site is lovely, it is well maintained and the pitches are spacious. The toilets and showers are modern and spotlessly clean, there is even a dog wash, just the thing when you have been on the woodland walk in the rain! It is just a short walk into Ribchester where there is a shop, pubs, a tea room, a garden centre and a children’s play area. The owners John and Catherine are welcoming, friendly and very helpful when I flattened the battery! We will definitely be back very soon! This is a lovely peaceful site, beautifully kept, with the nicest walk through the woodland. The pitches are spacious, with good views, plenty of water taps and really clean toilets and showers. We are both over 65, and it was only £12 a night mid week. An absolute bargain. This was our first visit, but we will definitely be back. Another great weekend at Dale hey. We stayed there for the first time last weekend and was that good we just had to go back (with friends. )John & Catherine are lovely and do a really good job of keeping the site pristine. Not far from the little village which as 1 shop and 4 pubs all ya need really ! Like all the other reviews this camp site deserves 10 out of 10! Really helpful and friendly owners and all the grounds are well kept and spotless! Very modern washrooms that are kept clean. We had a walk into Ribchester and had an evening meal at The White bull which was very good. Stayed at Dale Hey Touring Park for the first time this week. On arrival I was greeted by the owner John who showed my wife and I around and let us choose a pitch. The park is well set out and the pitches are very spacious. There is an on site dog walk in a wooded area which is lovely at night you can hear the resident owls. The toilets and showers are spotlessly clean as is the whole place. This park is ideal for visiting the lovely walks of the surrounding areas. I would definitely recommend to anyone and will be returning time and time again thanks John and Catherine. Just returned from our first stay at Dale Hey and I can definitely recommend. Great hard standing pitches, lots of drinking water points, excellent toilets and showers, and great on site dog walk and dog friendly. The owners and very helpful and welcoming. Would definitely recommend and will be returning time and time again. The site is spotless and is a credit to all concerned. This September, we spent a delightful 4 days at Dale Hey Touring Park Ribchester, Lancashire, in our Camplet Classic trailer tent. 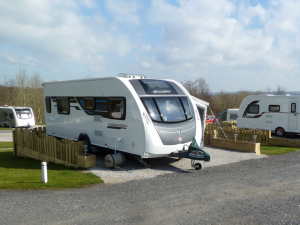 We found John and Catherine the owners very welcoming and friendly and were very impressed by the cleanliness, the layout, the facilities and the position the site is in. John has done a remarkable job in developing the site which with its flower beds, trees and woodlands makes for a lovely ambience throughout the whole site. Situated as it is just above the Ribble valley it is ideally positioned for walking or mountain biking or just exploring the area within which is the charming village of Ribchester a delight to visit with good pubs and restaurants, fascinating Roman historical remains and riverside walks. We cant wait to return and have no hesitation in giving a ten out of ten review. We have visited this site 4 times this year and must say that it is consistently outstanding, the site is always extremely well presented and maintained. The toilet block is always nice and clean with plenty of hot water for showering / washing etc. The fresh water points are well placed around the site. The pitches are well spaced out and all hard standing. 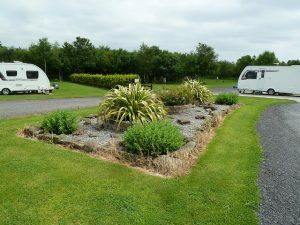 If you are looking for a site in beautiful surroundings, extremely well kept and run by very helpful owners then you wont find better than Dalehey Caravan Park. 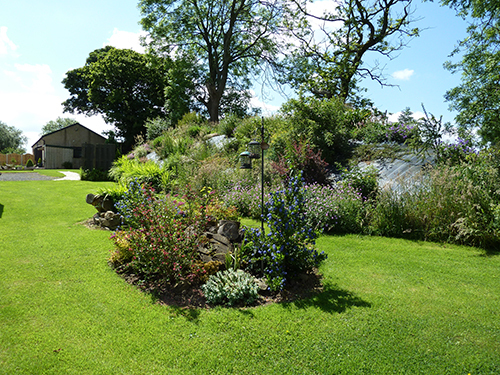 A clean, tidy and pleasant site in lovely surroundings a short walk from the village of Ribchester. Facilities are modern and well maintained, although they may be stretched when the site is busy. 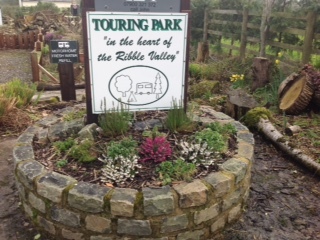 The local buses to Clitheroe and Blackburn stop on request out side the site entrance which is handy as the walk back from the village is uphill. In addition to the Roman Museum the village has 3 pubs, one of which, the Ribchester Arms, does good but expensive food, another, the Black Bull does not do food but does do very good, cheap beer! This is a lovely are to visit and the site is a perfect stop over en route to Scotland. Our only complaint was that whilst the site has great TV reception the lack of WiFi prevented a longer stay. We will definitely return to explore the area more fully when WiFi installed. 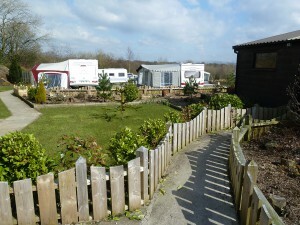 My husband and I recently stayed at Dale Hey Touring Park near Ribchester. What a find! The owners John and Catherine were most welcoming and very accommodating as we had originally booked for 4 days, but were able to extend it to 14 days! The site itself was without doubt one of the best (if not the best) site that we have stayed on. 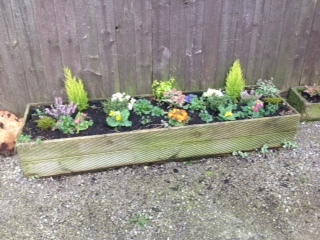 The thought, time and effort put in by John and Catherine has resulted in a site with excellent facilities (toilet and showers extremely good) and beautifully landscaped areas. The site itself is interestingly laid out with several different areas for caravans and also tents. On site there is a 14 acre wood with a mown walkway through it which makes for a very relaxing walk in peaceful surroundings. 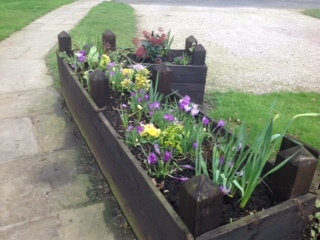 John keeps the grounds in superb condition and the care taken really shows. 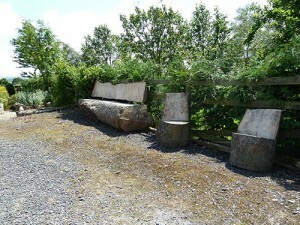 From the site there are beautiful views of the surrounding countryside which includes Pendle Hill in the distance. There are a great many places to visit, to eat and drink within a short drive. We were sad to leave but our thanks to John and Catherine for a most enjoyable stay. We are looking forward to returning as soon as we can. 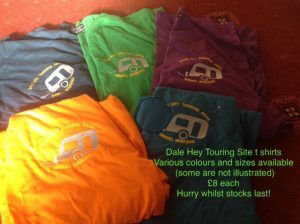 We would highly recommend a visit to the Dale Hey Touring Park. Had a two night stay and on arrival the owner was very pleasant and very informative. The site is spotless and all facilities were clean. It is extremely well laid out and we enjoyed walking around the woods directly on the site. Ribchester was a 20 minute walk and the children’s play area there was great. We enjoyed visiting the Roman museum. We will definitely be returning to this site. This was our first visit to this lovely site and we were made very welcome by the owner Catherine. We were shown to our pitch which was perfect as we have a large dog who can be quite noisy and we have to put windbreaks up to obscure his view of other dogs, with this pitch we had plenty of room. To do so. The walk through the woods was very nice and the bluebells were lovely. Ribchester was a short walk away the Spar shop is well stocked and Longridge is just a short drive away. I would recommend a visit to Beacon Fell its a great place for a good walk. Just got back from visiting dale hey farm touring park. As usual we got a very warm welcome. Yet again Catherine & John have gone the extra mile, john has made a beautiful dog, wellie, bike wash area. What more can you want. It’s a credit to you John, we will be back when we are dog sitting again (later this year). We have been going to this site since 2003 first as ralliers and now as retired teenagers. And we have seen the hard work you have put in. It’s a pleasure to caravan on your site. You can certainly show the big boys how a site should be run. From spotless showers & toilets to great pitches, lovely walks with or without a dog, and now the dog wellie bike wash, what ever next. Thank you for all your hard work. It’s a pleasure to visit your site. Just returned from this site after spending 3 weeks here. The upgrades they have done are noted as soon as you enter site (how many sites have dog and boot wash undercover). John and Catherine deserve all the praise for their efforts, and I for one will be returning many times to this peaceful place. 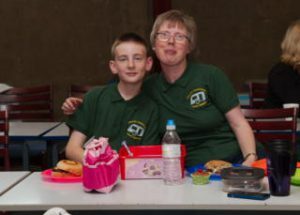 Our first time caravanning and although novices were made extremely welcome by Catherine and John. 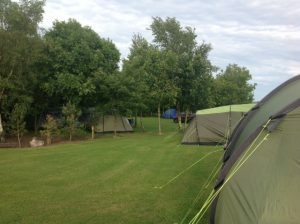 The whole site was extremely clean and tidy and was obviously well looked after. Nothing was too much trouble for our hosts and would highly recommend the site for a quiet stay and a great place to chill out. The shower block and toilets were to a very high standard being very clean and kept that way. Yet another enjoyable rally at Dale Hey. A great location to visit, with so much to see in the area. Always surprised at how much this caravan park improves each time we are here. 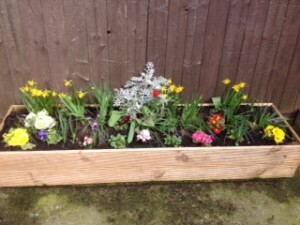 Many more flowers and wooden fencing around the flower beds, etc. Very natural and in keeping with the nature of the area. John and Catherine are truly hard working and always available to answer any queries. Nothing too much trouble for them. Already booked to return again next year. Yet another enjoyable rally at Dale Hey. A great location to visit, with so much to see in the area. Always surprised at how much this caravan park improves each time we are here. 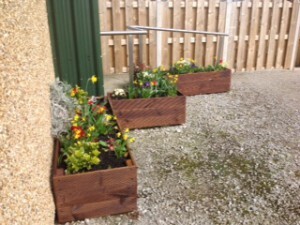 Many more flowers and wooden fencing around the flower beds, etc. Very natural and in keeping with the nature of the area. John and Catherine are truly hard working and always available to answer any queries. Nothing too much trouble for them. Already booked to return again next year. Just returned from a wonderful weekend at Dale Hey, it was our first outing in our new tourer and we couldn’t have picked a better site. On arrival we were greeted warmly, shown to our pitch and given a full overview of the site and lots of local information, which was great and really helpful. We’ve camped in the past and I have to say this is one of the nicest sites we’ve been on; it’s lovely. The toilet and shower block is warm and spotlessly clean with plenty of hot water that you don’t have to pay for. We have two dogs and the woodland walk which is part of the site was great for exercising them with bins along the route for their mess. 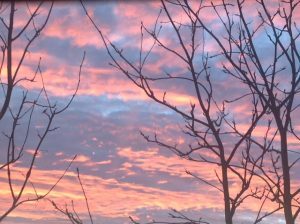 It’s such a neat, pretty site with great views, perfect for relaxing. Ribchester is a 10 minute walk away, we didn’t try any of the pubs so can’t comment on those. We will definitely return and wouldn’t hesitate in recommending. Just spent an ideal few days with John & Catherine, extremely wet but that’s one thing John can’t control. Toilets are as usual perfectly clean and the site is as clean and tidy as you could wish for. Dog walk is brilliant and much enjoyed by my 4 legged sidekick. I’ve been camping here for many years and can see the improvements that are being made each time we come. Alan ( kettles on) Kendrick. 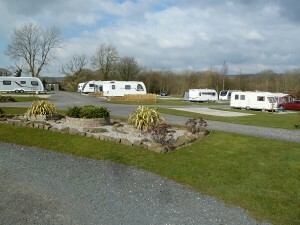 This is a lovely spacious well kept site with stunning views over the Ribble valley and surrounding hills. 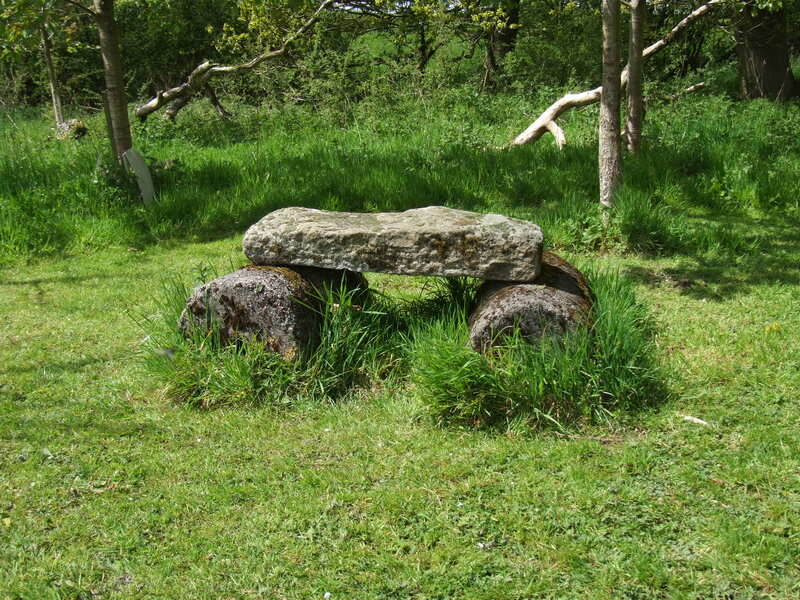 It’s handy for visiting the Trough of Bowland AONB and its villages and Ribchester itself is well worth a visit. The warm welcome and helpfulness from owners Catherine and John was the cherry on the cake. We’ve already booked to come back again and we highly recommend the special mid-week deals they offer for bus pass holders. Really nice people running this quiet well maintained site. Been several times on our own & with the grand kids. They enjoyed the freedom & made lots of friends played football cricket together we couldn’t get them in & they would have continued with torches if we had let them. There were tears when we left. 20 minutes stroll into Ribchester there is a pavement & it’s lit most of the way, there are a few pubs that also serve food, we have not eaten in them but they seem ok. Also a really good park for the kids, Roman remains & of course the river. 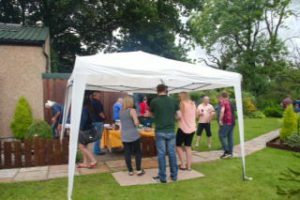 There was a music festival running over a week last time we visited catering for lots of different tastes it’s on again this year Ribfest 18-24th July 2016. We’ll be paying it a visit again this year I’m sure & it’s only 45 minutes drive from Blackpool. Spent last weekend at Dale Hey and can highly recommend this site. The facilities excellent; toilets/showers spotlessly clean. 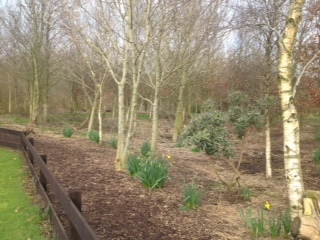 There is a lovely 12 acre woodland walk on the site, great if you have a dog as we do. The site is in a nice quiet location just outside Ribchester with open views across Lancashire to Pendle Hill. There is no play area for kids but there is plenty of open space for them to play. Hard standing pitches for caravans/motorhomes are a good size and do not feel too closed in. There are 3 pubs in Ribchester, all about 1 mile walk. Only the Ribchester Arms does food at the moment but understand The White Bull is due to start in a few weeks. Both pubs are excellent beer pubs and the food at the Ribchester Arms is heartily recommended. The village is lovely and well worth spending some time exploring, in particular take time to see the remains of a Roman bath house on the banks of the River Ribble. This is about a 20 minute walk from the site. My last comment is reserved for the owners; we met John a couple of times during our stay, he was very friendly and helpful. In summary, we will definitely return to this site. Lovely peaceful site with walk through woodland area from the site. Shower block is very good but there are only two showers in both the men’s and women’s blocks. This was fine for our stay but I would question what it would be like on a busy weekend. Pitches are level or gently sloping. Pitches were hard standing and of a really good size. A hand washing facility at the Elsan point would be really useful. The site is beautiful and very well maintained, with lots of birds around. Ribchester is a short walk away and has a Spar shop and two good pubs. There is a fantastic Indian restaurant three miles away! 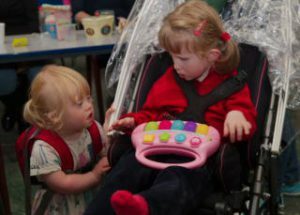 The people we met in Ribchester were the most helpful and polite that we have met in a long time! We will be back! Another lovely weekend at Dale Hey, not sure when we last visited but there are a couple of changes. I think more pitches have been made and the dog walk has been slightly changed but other than that it is the same. Very friendly welcome from Catherine. There are only two showers in the ladies block but as it was very quiet this did not pose a problem, not sure if two is sufficient for the summer months. The pitches are smaller than I remember we didn’t put awning up but if we had done we would not have fitted car next to van, although there is a car parking area. We’ve just bought ourselves our first motorhome, a Nu Venture, and found Dale Hey Farm as a relatively local stop where we could try it out. 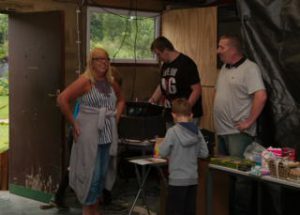 My wife and I, and our two young dogs, were completely new to motorhomes so we needed a bit of help – no-one told me you need a cable to be able to connect to the electricity! (thanks for organising the weather too!). The toilets and showers were clean and efficient and all included in the price. They have a woodland walk that was really nicely kept and this was ideal for giving the dogs a stroll – dogs to be kept on leads which suited us as we do that anyway in consideration for other folk. Ribchester is a ten/fifteen minute walk and it is very nice village. We ate at the Ribchester Arms and while the others may also be good, they gave us what could be the best pub food we’ve ever had. Thanks for our stay – three nights went by in a flash and we’re sure to be back soon. 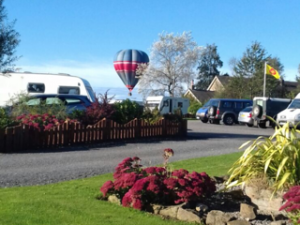 We have had our touring caravan on this delightful site from April to the end of August – we kept extending our stay – we liked it so much and John and Catherine were very accommodating. They are a lovely family.The site is very well kept with planting and flowers continually added to. The woodland walk, as previous reviewers have said, is very relaxing. The toilet block is clean and warm. The location is excellent, rural but close to the village with it’s beautiful river view, nice cafes and the Ribchester Arms for eating. (Also try ‘Tiggis’ Italian restaurant in Clayton-le-Dale). The site does not have a children’s playground but there is a superb one in the village. All in all an excellent site. Just visited again, been a few times this year, back to caravaning after quite a few years away. The owners were happy to help so don’t be afraid to ask nothing is too much trouble. Site quite level and facilities (ehu, water and waste disposal easy to get to) very close to our pitch, good for disabled campers. Owners john and catherine cannot do enough friendly, helpful. Site clean and very tidy, landscaping exceptional. Showers and toilet facilities excellent. Haven’t tried the walk yet but intend to do so. Ribchester and longridge close enough to go to for shopping etc. Also easy to get to coast. Alston arms in longridge reasonably priced. 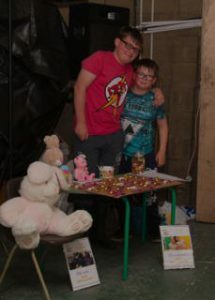 Sainburys in longridge as well Haven’t got children so cannot comment althought the children that have been on site seem to enjoy cycling etc as there is plenty of room mid week for them to play, havn’t been at weekend but I am sure the welcome is just as friendly and helpful. We were looking on line for a one night Monday stop over after visiting family at a neighboring site that wanted to minimum charge for two nights. 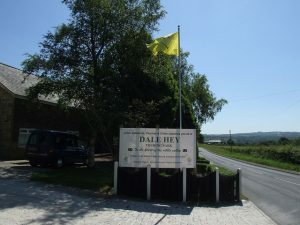 Dale Hey was just perfect for us offering very clean toilet facilities and very well maintained grounds. 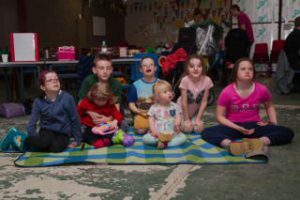 After booking our pitch at the site in the morning all the family spent a very relaxed day by the river in Ribchester which has excellent nearby parking and play ground facilities. 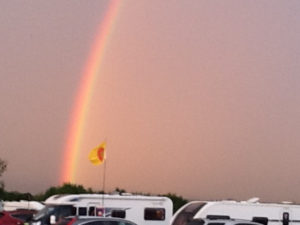 We visited dale hay farm caravan site at the end of july early august. Everytime we go there the site gets better & better. We started to go to dale hay when the owners had just started doing the site up, and each time we have been it gets better. Thank you both for all the hard work and the friendly and very warm welcome we always get. I must say that this welcome is the same for every one. Nothing is every to much trouble. From it’s spotless showers and toilets, to the well cut grass, it, s just one of the most perfect site going and we have been caravanning for 28years now, so i think we can judge a great site by now. Keep up the good work. See you before the year is out. Ann & phil Dutton. Just wanted to say how much we appreciated our stay on your site. the facilities were superb, the surroundings amazing and the welcome and help with our very late (bank holiday) booking much appreciated. We WILL return! A great site, the owners are very friendly and available all the time. The toilet block is spotless. The grass is kept well mown and better than a lot of parks. We don’t have children but there seems to be plenty of play space. The dog walk is set in a private wood (also part of the site) and is a good half hlk or can be cut short if that’s too far. Ribchester is an interesting Lancashire ours wavillage where the people are both pleasant and friendly. The Black Bull is a dog friendly pub with good beer. Friendly greeting on arrival. Barrier/toilet key given. Told which pitch we were on and where to find it as busy with being a Friday night Bank holiday weekend. Large hard standing gravel pitches. Lovely clean pitch. Toilet block spotlessly clean and tidy. Excellent shower cubicles. Excellent views. Very quite and peaceful site. Quite even though the site was full. Fantastic dog walking area. Not far to Ribchester or Longridge. Clitheroe and Preston only a short drive away. We will be returning to this site. Stayed here over the Bank holiday weekend. What a gem of a site. 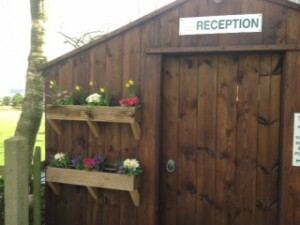 The shower block and toilets are warm and very clean, with lovely hot showers and all in one cubicles in the ladies. All hard standing pitches are EHU, good sized. Grass pitches non EHU are surrounded by trees. All have lovely long reaching views. Super woodland walks on mown pathways create a haven for nature lovers and kids exploring but be careful there are a lot of nettles. The surrounding area has a lot to offer. This is a fantastic site, and a credit to the owners. We have stayed at this site a few times over the years. John and Catherine are so nice and they have done an amazing job upgrading the park. It’s has an amazing dog walk on the site through lovely meadows. The toilets /showers are lovely and clean and always seem nice and warm no matter what time of day I go in. We leave our caravan here when we can and return each weekend but we love it so much we would live there if we could. Although it isn’t an adult only site it is a pretty quiet site and people are respectful of each other. We have stayed at many sites in the last 4 years but there is something very special about this one. Cannot recommend this site enough and will definitely be returning this year before the season ends. Sam and Debbie. Just spent 3 nights on this wonderful site, with my 2 kids in our little campervan. This site is excellent, the couple who own it are continually improving the site for the benefit of their customers. The shower block and toilets are warm and very clean, with lovely hot showers. There are different style of pitches depending on your outfit, whether it be hard standing or just a pitch in a field. But when I say field, I mean perfectly kept grass area, nestled in the trees, with acres of space and views over to he hills. 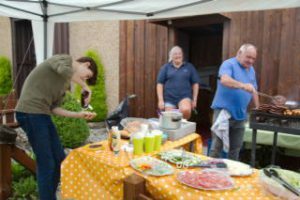 The owners are very helpful and knowledgeable of the area, whether you need a nice pub, bus timetable or activities in the area. There is a bus that stops right outside the gate, but we just walked down the hill into Ribchester for a lovely meal at The Ribchester Arms. We will definitely be visiting again and the tariffs are reasonable too. Thanks guys for a lovely Easter weekend break. This is a fantastic site, so spotlessly clean (coming from an ocd mother), lovely surroundings and fantastic views. We have visited here many times over the last year and enjoyed every one. My children love meeting and playing with other children and we all love the dog walk which is full of nature! I would highly recommend this site!